The grand opening celebration on May 16, 2018! The store opens for shopping at 9:00 am, however, there’s plenty of fun and activities starting even earlier. The parking lot opens at 5:00 am with the grand opening ceremony starting at 8:00 am. The first 200 children under 12 years old will receive a red heart pillow and the first 1,000 adults get a swag bag. There will be a drawing every hour throughout the day to win $250 gift cards. In between 5:00-8:00 am there will be three winners chosen to win a gift card worth between $500 and $2,000! Kids activities such as having a balloon artist and face painting will be happening all day. Find out more about the event here. Free drop off area for children (limitations dependent on height of child). Staff are CPR, First Aid and AED Certified. Ikea offers variety of ways to get the product into your hands including low delivery costs, in-store pick up, and assistance assembling products in your home. Free lockers are available if you need to store items while you shop. Restaurant and market are available on site to satisfy the hunger you will undoubtedly have after getting wrapped up in shopping all day. 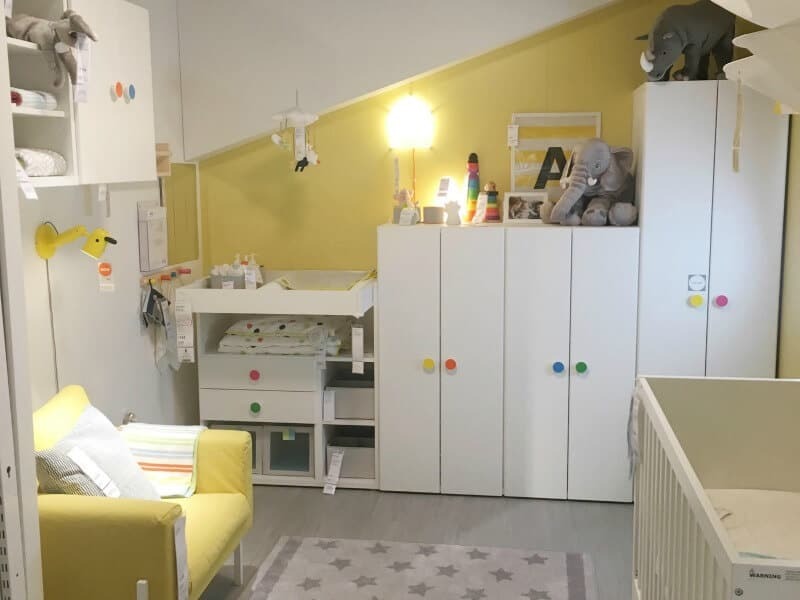 Ikea offers a variety of services from planning stations set up in the store, to helping measure your kitchen, and designing closet systems for you. Sustainability has been a priority for the company and led to installation of solar panels on the roof, using sustainable wood in their products, and owning wind farms. Maintaining Swedish tradition is a theme heavily felt in the shopping experience which is evidenced by the food offered, honoring Swedish traditions in their grand opening ceremony, and overall customer service. Products and room inspiration for those who work at home or own a small business. Multiple areas providing inspiration and products for “home command centers” and creative solutions to common home organization conundrums for families. I’m not the only one turning into a plant lady! Seriously, there was indoor plant inspiration around every corner and it was GORGEOUS. Check it out yourselves! If you attend the Grand Opening Celebration, tag us in your photos with the hashtag #lovelcff. Want to see more of the store? Check out our Instagram for more pictures from our sneak peek!